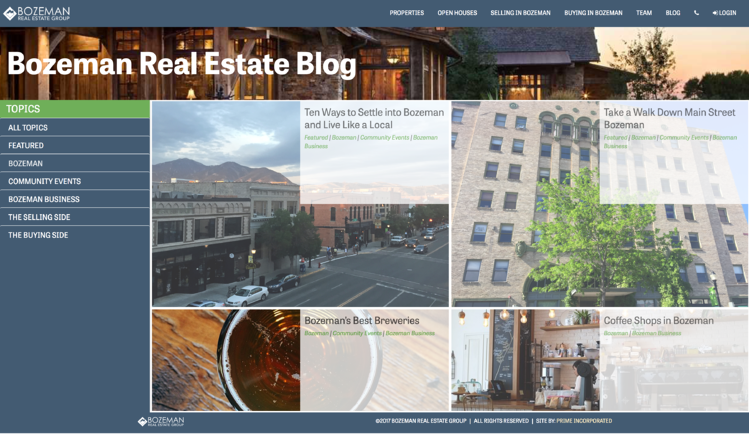 We wanted this brand to feel modern, professional but have the feel of what makes Bozeman a place people want to live. A neutral palette combining the imagery of both their industry and what makes this place an amazing place to live. 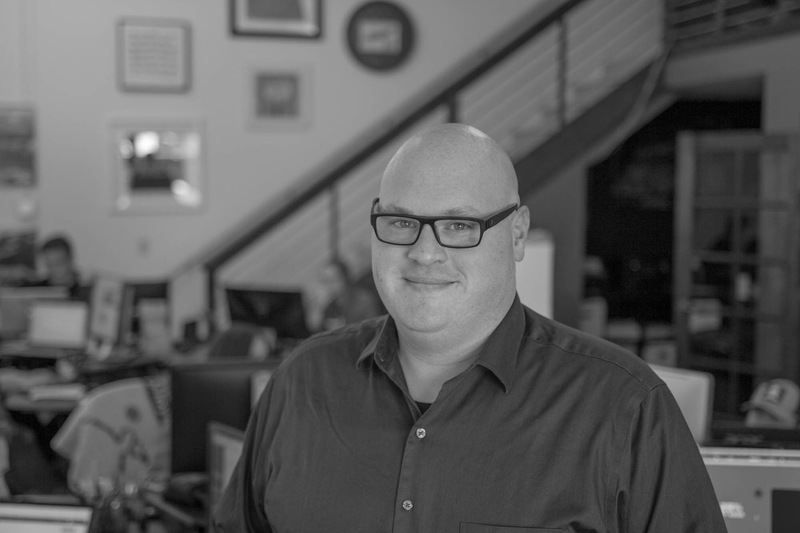 Why have a map search or list search when you can have both? 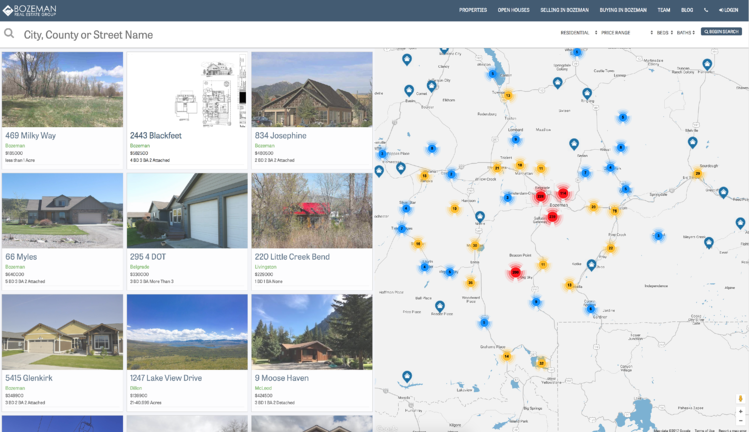 Giving users the ability to view their searches in both views simultaneously gives them a visual and interactive experience far better then a typical real estate site. 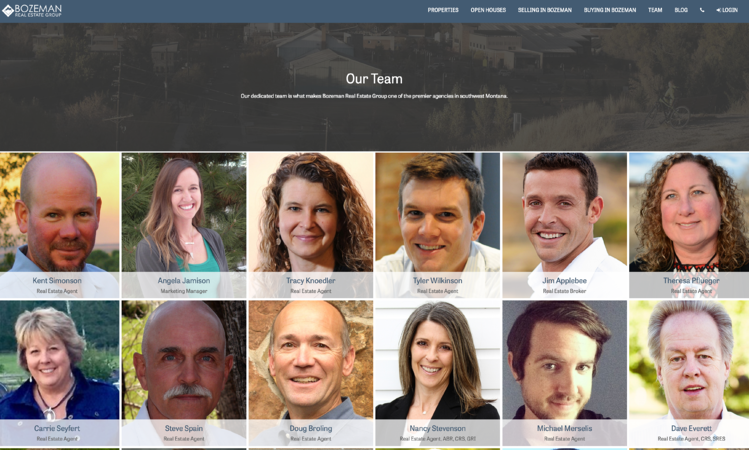 Filters, large images and tons of great content allow Bozeman Real Estate Group to showcase their expertise and the benefits of home ownership in Gallatin County. 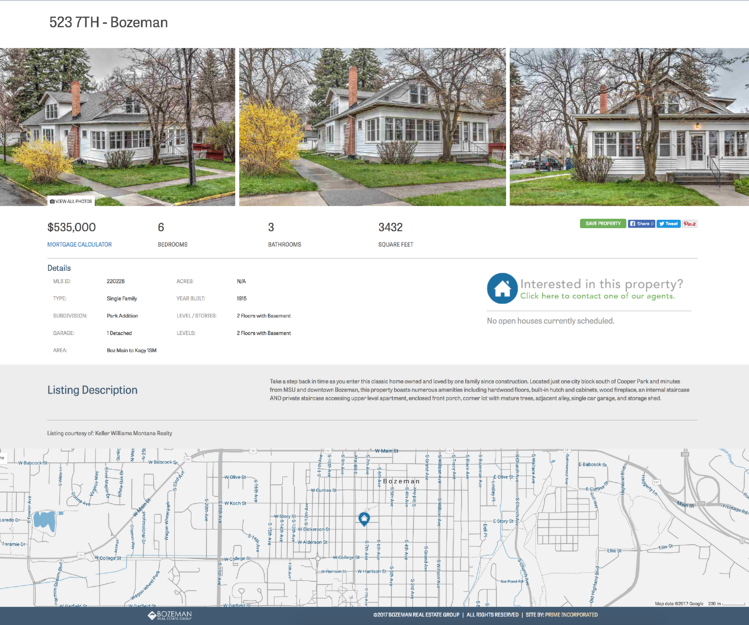 Everyday hop on and see what open houses are coming up throughout the entire MLS. Picking the right agent is as important as picking the right house. 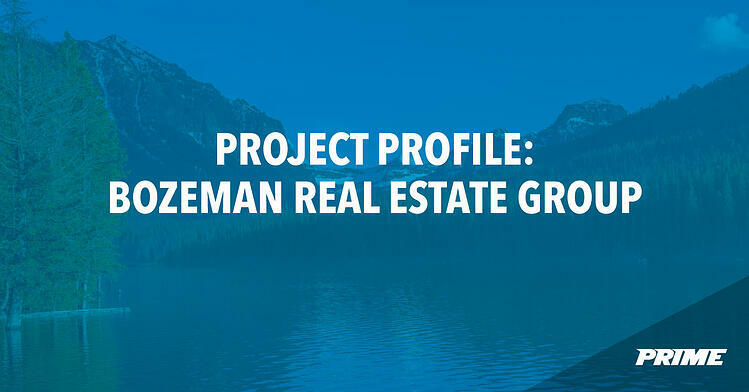 Fine the perfect person to fit your home buying team! 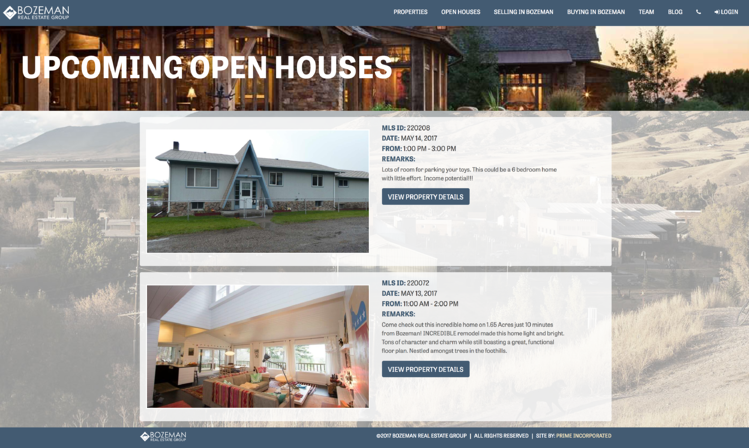 Simple, beautiful, and clean property pages that showcase the all the most important information and get the user to contact the agency.